Hey, sometimes you just want to look like murder victim no. 5 from the latest horror movie. Other times, you want to look like a freshly risen zombie. (None of that rotting corpse look for you!) Just what do you do with you feet? Are you going to wear plain old white socks, or are you going to go all-out and go for the gruesome, bloody look that you know they deserve. It's like the latest horror movie just played out... on your feet! 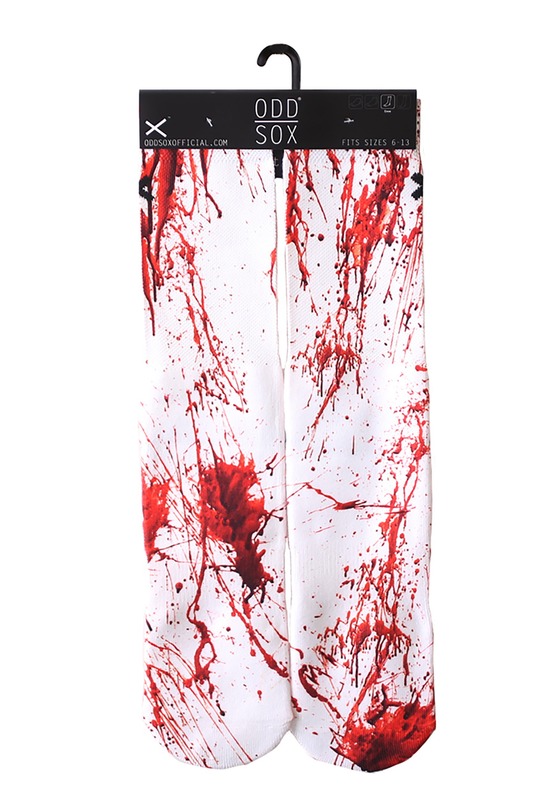 These Bloody Socks feature an absolutely gruesome style, splattered in fake blood patterns. Despite looking like slaughter incarnate, these socks are quite comfy. They have a cushioned heel, so your feet will be pampered, even when you're doing your best zombie impression. 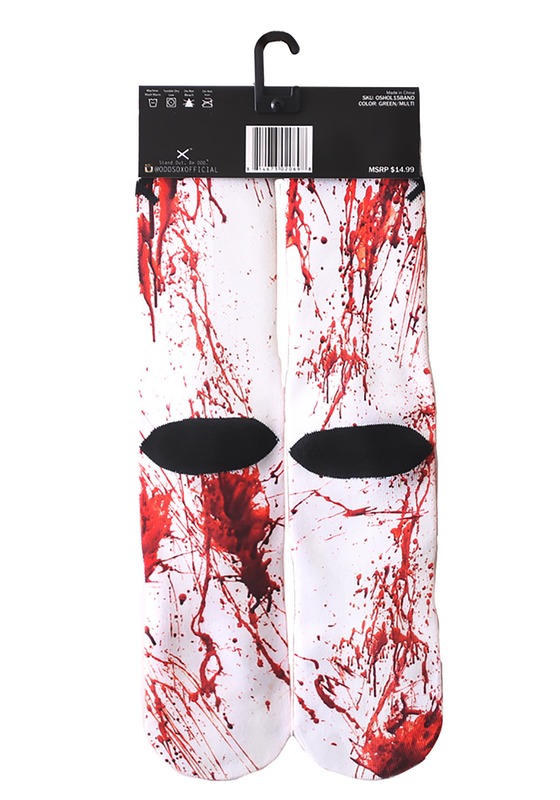 Of course, they make the perfect finishing touch to an undead ghoul costume, or serial killer costume, but you could always just wear them to go grocery shopping for a shocking effect!